Three years after its Director was named Scotland’s Curry King, Itihaas restaurant in Dalkeith has been voted the country’s top curry restaurant. 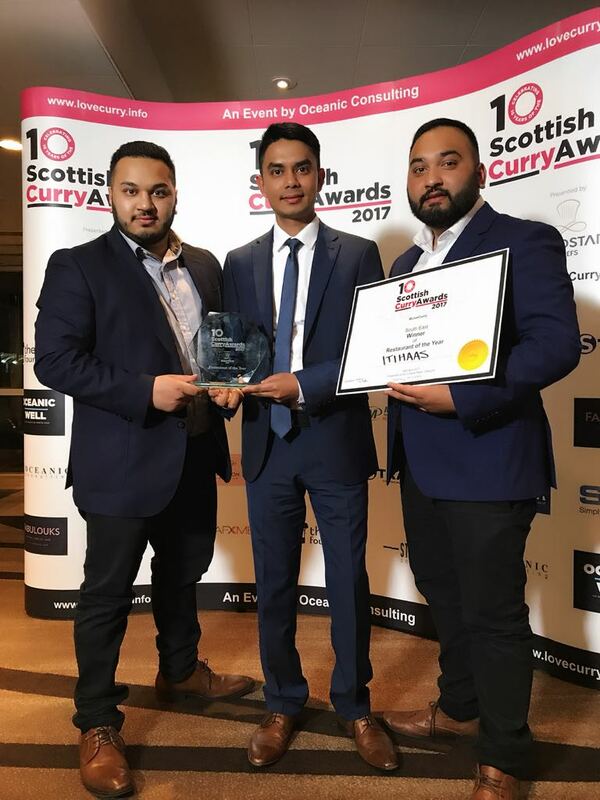 The family-owned and run 80 seat restaurant in the Midlothian town’s Eskbank Road took the title at the 10th Scottish Curry Awards held at the Crowne Plaza Hotel in Glasgow on 24 April. The organisers said more than 20,000 diners voted in the awards, more than two-thirds of them in the prestigious Restaurant of the Year category. Launched in 2007, Itihaas’ previous awards have included Scotland’s best Bangladeshi and South Asian restaurant. It has also been shortlisted in the Scottish Restaurant of the Year Awards. In 2014 its Director Matin Khan was voted Scotland’s Curry Chef of the Year. Matin moved to the UK from his native Bangladesh at the age of 14 and opened his first restaurant when only 19. 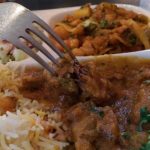 “It is a remarkable success for our team to have been selected as the best curry restaurant in Scotland,” he commented. “We pride ourselves on the authenticity of our Indian and Bangladeshi dishes and take great care in the selection of ingredients, including the herbs and spices. Matin Khan was also shortlisted as Chef of the Year for both Itihaas and its sister restaurant The Radhuni in Loanhead, Midlothian. The award was collected by his sons Majibur and Habibur, and restaurant manager Mohammad Abbas.